What would you think if I told you, the heart defects babies are born with, may be coming from mom’s “broken heart” or an emotional disturbance? The heart is linked to emotions hate, cruelty, and impatience. Heart disease is the number one killer of men and women in the United States today. About 610,000 Americans die of the disease every year, and about 735,000 Americans have some form of a heart-attack according to cdc.gov. “The findings suggest,” said co-principal investigator on the study and clinical professor Dr. Gregory Thomas, “that we may have to look beyond modern risk factors to fully understand the disease.” (Story 1). These sites suggest it may be due to heredity, but rebuttals state the rarity of a family having more than one child born with a heart defect. So then can we really say its heredity? Since the cause of heart defects is unknown there isn’t much that can be done to prevent it. We have a great handle of how to prolong life, but why is this happening? Having a medical background for my own health, I’ve often wondered this as well. I am determined to not only help myself, but to also help a child from enduring the pain no one wants. Look at the bigger picture, and understand that as much as your physical health matters, your emotional and mental health matter as well. Let’s carry on, what goes on in our bodies when we are in love? Women’s Health Magazine explains, when you’re in love, the brain is flooded with the neurochemicals dopamine and oxytocin, making a person experience feelings of happiness and pleasure. Dopamine gives you focused attention, craving, and euphoria. (Landau 1). Oxytocin levels go up when we hug or kiss someone we love; however, when you get your heart broken, all those lovey-dovey chemicals that were in the brain vanish from their system. They are then replaced by the stress hormones cortisol and epinephrine. These two hormones have damaging effects on the body, from the skin to the muscles. According to PsychologyToday’s Christopher Bergland, “The stress hormone, cortisol, is public health enemy number one.” Elevated cortisol levels interfere with learning and memory, lower immune function and bone density, increase weight gain, blood pressure, cholesterol, heart disease etc. Epinephrine is a hormone produced by the adrenal glands that is released into the bloodstream in response to stress in order to energize and prepare the body for a possible threat. “Women are more likely than men to experience the sudden, intense chest pain — the reaction to a surge of stress hormones — that can be caused by an emotionally stressful event. It could be the death of a loved one or even a divorce, breakup or physical separation, betrayal or romantic rejection. It could even happen after a good shock (like winning the lottery. )” (American Heart Association). Stress responses increase the strain on the circulatory system due to the increased heart rate. “When it does that, there is a narrowing in the arteries which is not normally significant, but it comes significant, when stressed. Even if you don’t have a heart attack this can cause irregular heartbeat and a rapid heartbeat.” (McLeod 1). It is said that broken heart syndrome is comparable to a heart attack. How so? Broken heart syndrome tends to be misdiagnosed as a heart attack because the symptoms and test results are similar. There are many tests that show dramatic changes in rhythm, and blood substances produced from broken heart syndrome that are typically produced by a heart attack. In broken heart syndrome, symptoms occur abruptly after extreme emotional or physical stress. The main difference that lies between the two is there is no evidence of any blocked heart arteries in broken heart syndrome and recovery time is quick, usually within days or weeks, whereas recovery time with a heart attack is of a month or more. When you experience an emotionally stressful event, i.e. a breakup, your brain thinks you’re physically hurt. Although nothing has physically been done to you, your brain is literally telling your body the pain is real, and it can feel like you actually got punched in the stomach. As Naomi Eisenbuerger, Ph.D., and assistant professor of psychology at the University of California at Los Angeles stated that “the area of your brain that lights up when you’re hurt physically is the same area that lights up when you suffer “social rejection.” (Elitedaily 1). “Love is just as addicting as drugs, specifically cocaine.” Dr Daron Seukerman, a consultant dermatologist noted. There is evidence that after analyzing brain scans of a person whom is broken-hearted, there are similarities between someone who craves cocaine and romantic rejection. “People who have this kind of stress, it’s like putting your heart on cocaine. A break up is naturally one of the biggest things that can happen in a person’s life, comparable to bereavement. People go through a similar bereavement/withdrawal process during a break up as when someone has died, she added. ‘They go through the bereavement cycle, typically shock, denial, grief, anger, blame, self-blame helplessness, fear of the future, depression and then acceptance.” (Davies 1). The reason it is compared to cocaine is because heartbreak is an emotional stress that sets your body’s natural “fight-or-flight” response to react. When your body enters into this response, the released adrenaline raises your blood pressure and increases your heart rate as well as breathing. The human heart begins to form around the fourth week of pregnancy. Between days 22 and 24, the heart begins to bend and fold itself into a loop. By day 28, the tube has a general heart-shaped form with the structures of the chambers and blood vessels in place. It is during this time of development that structural defects can occur. These defects can also affect different parts of the heart as well as how it functions. There are several factors that can interact to upset the development of the heart during the early stages of a fetus development, it could be heartbreak, it could even be finding out you’re pregnant. While the baby is forming in mom, it is the responsibility of the placenta to work as a trading post between the mother’s and the baby’s blood supply. Blood vessels carrying the fetal blood run through the placenta, which is full of maternal blood. Nutrients and oxygen from the mother’s blood are transferred to the fetal blood. The umbilical cord is the life-line that attaches the placenta to the fetus. 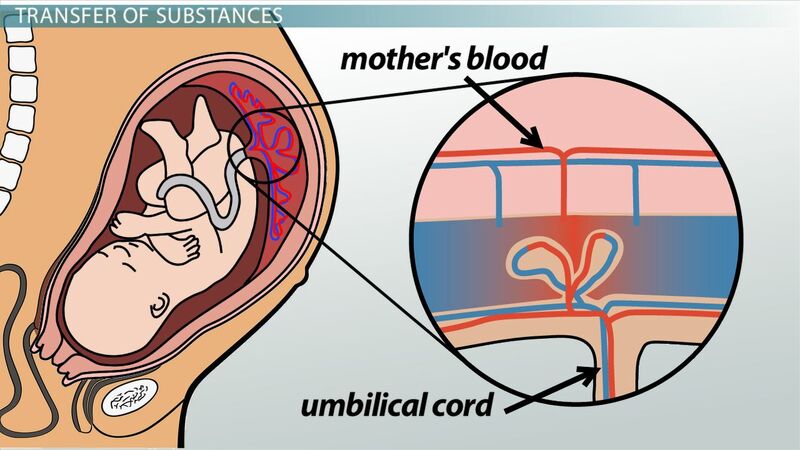 The umbilical cord is made up of three blood vessels: two arteries that carry blood to the placenta and a larger vein which returns blood to the fetus. If a mother’s heart is stressed from heartbreak, how is baby going to get an adequate supply of blood for their heart to form? We have already proven heart break is fairly similar to a heart attack without the physical effects, so having a “heart attack” with a fetus inside you, on top of stressing over it, this may very well be causing heart defects. Babies are physically, psychologically, and emotionally connected to their mothers. They can hear their heartbeat from the inside at all times. “There is a growing body of research showing that babies in the womb feel, taste, learn, and have some level of consciousness.” (psychcentral.com). If babies are physically, emotionally, and psychologically connected to their mom, not including the growing body of research, wouldn’t a fetus be affected by mom’s emotional stress? “Polarities of our emotions with high arousal vs low arousal may affect our psychological states and therefore, our bodies as well. What is psychological can ultimately be biological. After a break up, people are at risk of suffering depression and anxiety, conditions which can bring on insomnia, and are also in turn made worse by a lack of sleep. Skin conditions such as psoriasis, eczema, alopecia and acne deteriorate after a break up, due to a cocktail of hormones surging through the body. We know that human babies cannot survive on their own. We are programmed to need human contact, and to suffer when human contact is withdrawn. “Love helps heal the heart and nourish your mind, body, and soul. Love is a strong emotion, representing human kindness, compassion, and deep affection. Love is pure. Love is self-directed and directed toward others. Most importantly, love is a vital component for your overall health and happiness.” (Thaik 1). And it may be what many of our heart patients need. To learn how to love life, themselves, their hobbies etc. If you have had something similar to a heart attack and now going through “drug” withdrawal effects during the formation of baby’s heart, there’s not enough blood pumping through her own body, let alone enough to form a heart of a child.